This pendant is part of my Heart Clasp Series and uses one of the clasp, plus added dangles, to decorate the front of a beaded necklace. Because of how it is made, the clasp is removable and therefore inter-changable. 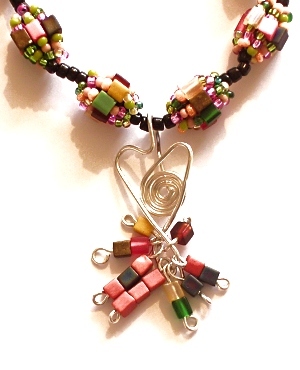 This clasp appears as a project in the second issue of Bead Magazine.